The washing machine has been making a terrible racket on occasion during the spin cycle of late; it sounded like something was loose down in it’s innards. So I spent a few hours pulling all its essential inside parts out until I found the guilty part. 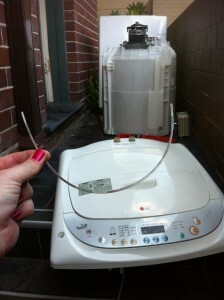 First time fixing a washing machine. 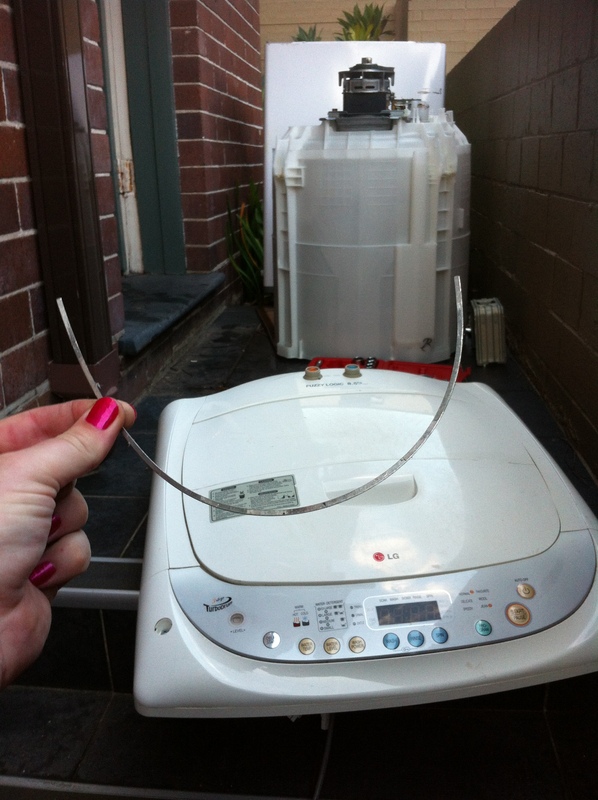 Saved us $1000 buying a new one but don’t know that I want to do it again…it was pretty heavy and I couldn’t figure out how to remove the inner drum from the washing tub (the big white thing behind the lid – its upside down with the motor sitting at the top there). Which makes me wonder about waste in our consumption obsessed society. We were close to throwing out a good condition washing machine thats maybe 8 years old because of what sounded like a death rattle. We considered having someone repair it…but expected the repair bill for an 8 year old washing machine would be big enough to warrant discarding it for a new one. I expect that many a household appliance makes its way to the tip in a very repariable state, discarded due to suspicious behaviour in the never ending quest for the latest and greatest. Of course there is always one or two parts left over…oh well.